Better late than never. 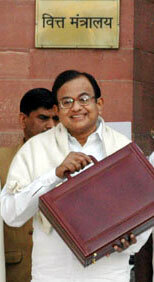 The Finance Minister P. Chidambaram has announced loan waiver of Rs. 60000 crores benefiting more than four crore farmers. It took several years for the government to see that farmers are committing suicide in Kerala, Maharastra, Andhra Pradesh and elsewhere in the country. And it needed an election year and shortfall in food production to force the Finance Minister to announce the waiver. It is surprising that the country waited till now to act. It is unjust that the Minister has limited the largesse to defaulters. Many farmers would have paid their dues tightening their belts. They also need assistance. It is not yet clear whether the exchequer would bear the burden of the relief or would pass it on to the banks. If the Finance Minister does that, it would hit the balance sheets of bands very badly. However, it is to be remembered that industries across the country have defaulted a bigger sum and the amount is as good as written off. It is, however, better for Finance Ministers not to tinker with the credit system. If he is passing on the burden to the banks, he should also see to it that credit to the farmers does not come down in the coming years. Farmers should not be placed at the mercy of moneylenders after the write off. 60% of Agri lending by commercial banks in Kerala is through Agiculture Gold Loans. These are counted as finance to farmers only in the Agri Segment target-achievment figures by NABARD and RBI. RBI rule from the past decade is that only crops can be mortgaged in Agri loans upto Rs50000/-. In Agri Gold Loans, gold is the security. During Devi Lal’s Debt Waiver in 1990, Kerala farmers did not get relief on such gold- based finance for agriculture. This time also, Agri Gold Loans will be exempted from Waiver because basic rules of security are violated. 60% of Agri loans in Kerala will not consequently be waived. Is God’s Own Country the land of Ginea pigs? keralaviews on Is God’s Own Country the land of Ginea pigs? Liju Philip on Is God’s Own Country the land of Ginea pigs? Private professional colleges perform without infrastructure! Kamala Surayya (Kamala Das) is being forgotten?